We are centrally located between Wiarton and Tobermory. A secluded natural beauty nestled in a valley offering clean comfortable rooms for a restful sleep, waking to the aromas of a gourmet breakfast to start your day. We have hammocks for lounging, a screened-in gazebo, pond, pergola and plenty of seating areas for you to enjoy on our two acres. 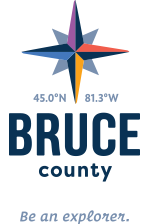 Spend the day exploring the Bruce as we are minutes to trails, beaches, shopping, restaurants and upon your return please join us around our nightly campfires. We also offer free Wi-Fi.